2012 was the year of the World Shakespeare Festival, the biggest celebration of Shakespeare ever, when this early-modern writer was to be proclaimed a global superstar, as if he wasn’t already one of the most-recognised faces, and the most-performed playwright, in the world. Looking back, for me the most impressive tributes to Shakespeare were the opening and closing ceremonies for the Olympics and Paralympics. Danny Boyle’s opening ceremony, entitled Isles of Wonder, had Shakespeare’s words and ideas at its heart, even if the most directly-related bit was the somewhat bizarre vision of Kenneth Branagh dressed as Isambard Kingdom Brunel reciting a speech by the “salvage and deformed slave” Caliban from The Tempest. 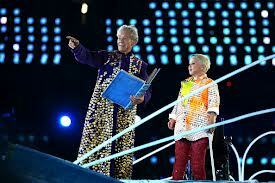 In one of the other ceremonies paper printed with lines of poetry from Shakespeare and others formed part of the set, and the opening of the Paralympics featured Ian McKellen as Prospero with Ariel delivering more lines inspired by The Tempest. Elsewhere, what were the highlights of my Shakespearean year? While I didn’t manage to get to any of the Globe to Globe performances, this extraordinary season in which each of Shakespeare’s plays was performed in a different language got the party going and generated a huge amount of positive publicity early in the year. It also provided a way in which the rest of the world could share these productions through the website the Space. The BBC did Shakespeare proud with new documentaries by James Shapiro and Simon Schama, and programmes presented by actors and theatre professionals on their view of Shakespeare. 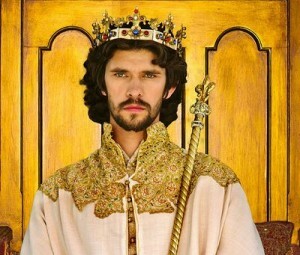 Most spectacular were the new productions of the Richard II -Henry V tetralogy and the screening of the African Julius Caesar. The British Museum staged a fabulous exhibition Shakespeare: staging the World. Much of the focus remained in London: Timon of Athens at the National Theatre, the African Julius Caesar, the Indian Much Ado About Nothing, the Almeida’s King Lear and the pairing of Richard III and Twelfth Night by the Globe, though both the RSC versions started in Stratford and Julius Caesar has been on tour. Most of my Shakespeare theatregoing has been in Stratford, but I’ve really enjoyed those productions I’ve seen elsewhere: The Tempest in Bath, the National’s Timon of Athens and the Donmar’s all-female Julius Caesar. Sport is nothing without energy, but for a few weeks in the summer it became cool for us all to be enthusiastic: cheering on the athletes in the stadium, sharing experiences with fellow-travellers on the train, and enjoying the collective experience of being a member of a theatre audience for Shakespeare. When Michael Attenborough recently addressed the Stratford Shakespeare Club he commented that actors have to approach Shakespeare very differently from how they might work on a modern play: he demands energy, not relaxation. My favourite productions of the year have both been high-energy, and have required commitment from the actors and other participants. They’ve both been of Julius Caesar. 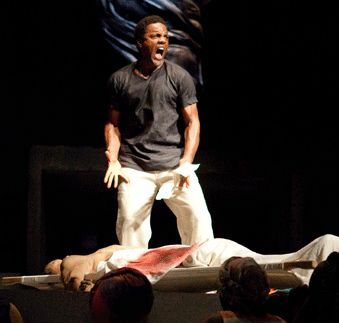 In Gregory Doran’s African production the temperature was raised even before the play began by the extras who performed a series of meticulously choreographed mini-scenes, and Ray Fearon’s Mark Antony delivered his Forum speech with spine-tingling emotion. 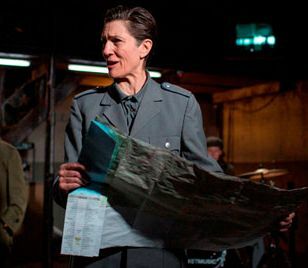 The Donmar’s all-female Julius Caesar was completely different, breaking down the barriers between audience and actors, continually asking questions about who were the actors, who the guards, what was our function, and what was it that we were watching? It was an uncomfortable experience, the final moments showing how much had been at stake for the “prisoners” whose performance we had witnessed. The production I’ve least enjoyed? Easy: the RSC/Wooster group’s collaboration Troilus and Cressida, which sucked the life out of the play for me. Enthusiasm and energy alone can lead to the strutting and bellowing that Hamlet criticises, but encouraging the actors to speak in expressionless monotones and deliver their lines not to the audience but to onstage TV monitors seems to me to be going down a blind alley, no matter how interesting it might be as an intellectual concept. This entry was posted in Legacy, Plays and Poems, Shakespeare on Stage and tagged Donmar, Globe to Globe, Julius Caesar, Royal Shakespeare Company, World Shakespeare Festival. Bookmark the permalink. One Response to Was 2012 Shakespeare’s year? Wonderful summary, Sylvia. I’m a big James Shapiro fan and would like to know how I can access his documentaries as well as those of Simon Schama. Thank you. Wish I could’ve seen the all-female Julius Caesar, sounds fabulous.